Elephants Head or Hin Pusar is a submerged boulder just reaching the surface just south of Ko Similan. The fantastic dive site Elephant Head Rock or Hin Pusar is named this way, because the boulders are said to resemble the back and head of an elephant. It is located just south of Ko Similan, the largest island of the group (no 8), where several pinnacles just reach the surface. Underwater the huge boulder creates arches, caverns, gullies and many impressive tunnels. There are also four smaller swim-throughs at ten meters and one larger at twenty six meters deep. It is one of the sites where a dive guide can be useful as he or she knows the way from rock to rock preventing getting tired kicking with your fins against the current. Marine life such as the blue-ringed angelfish, Andaman sweetlips and bicolour parrotfish are some of the sights. Small reef sharks and several species of turtles are living near this tiny group of submerged pinnacles. Yellow goatfish and snappers always hang around at the deepest levels, as well as several species of lionfish and grouper. Going down to thirty meters where you will reach the sandy bottom, you will see purple fire gobies, blue spot stingrays and when lucky, the rare mc coskers dwarf wrasse. Manta rays and whale sharks can be dived with when looking into the blue. Loads of nudibranches, hunting mating trevally and egg cowries can be found higher up the granite rocks. Soft coral of all colours and sizes, huge orange and yellow seafans and even black coral make this site one always to remember. Visit our partners! Or become one. Sunrise Divers is Thailand's number 1 liveaboard specialist, with boats to suit all budgets and years of experience in Asia. We offer trips from 2 - 10 days in Thailand, Burma and Indonesia. 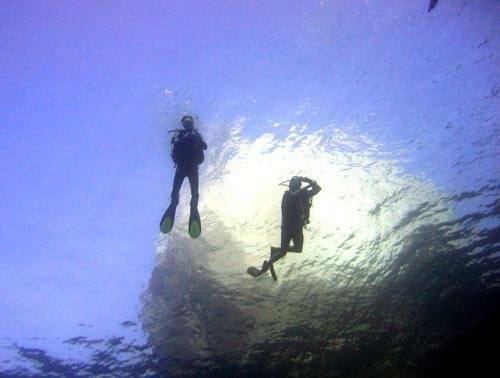 Liveaboard diving and sailing trips to the Similan Islands in Thailand, the Mergui Archipelago and Burma Banks in Myanmar (Burma) from Khao Lak. We are able to give you individual advice and provide first hand information whether you are looking for holiday diving, wanting to charter a boat for a dive club trip or simply for an afternoon out on the Islands. Feel free to contact us if your plans are more ambitious, such as private charters, research trips, diving for the handicapped or if you're a professional underwater photographer in need of 'the shot'. We have over 11 years local experience and work only with reputable, environmentally friendly partners to ensure your perfect trip. We are happy to arrange your trip but you can also come dive with us on a liveaboard.